WordPress Vs. Blogger is one of the most debated topics among budding bloggers. I always find BlogSpot as one of the best platforms to start your blogging career, as it requires zero investment. But, the problem comes when you want to make the move to WordPress. Once you adopt a platform, you find it hard to get out of your comfort zone, and learn a completely new platform. Bloggers who have already migrated to WordPress, they never get tired of talking about benefits of using WordPress. With plugins and themes for any niche, WordPress is no doubt a clear winner as the best blogging platform, from my point of view. I couldn’t be biased with my debate on Blogger vs. WordPress, as I started my journey with Blogger platform, and later on moved to WordPress. Do you own your blog on BlogSpot? Owning a Blogger blog is like living in a rented house. Despite your hard work, your blog could be deleted by Google at any time, if you are found violating any rule. Be it by mistake, or knowingly someone reported your BlogSpot blog as spam, you are the one who is going to face the consequences. This is just one of many reasons I could think of using WordPress over BlogSpot. Another reason, which I could share from my experience is: When you become an experienced blogger, you need much more than a simple publishing platform. You need to add new features on your blog (Forum, community, gamification), and many more. All this could be easily achieved with WordPress, as there are thousands of plugins out there. BlogSpot keeps you behind the bars by not giving access to server files while WordPress gives you free hands. WordPress is much more flexible and easy to customize, even if you are not good in customization, there are the vast availability of themes. 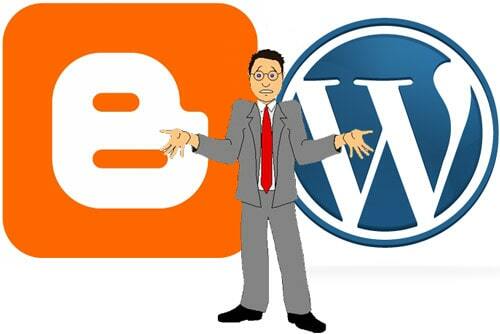 You can not sell your BlogSpot blog while you can do so with your WordPress blog. Last but not the least – WordPress gives you free hands to optimize your blog for SEO. If you ever used WordPress and Blogspot, then I think there is no reason you will compare both…Blogger is good for beginners, but It won’t get you much audience. 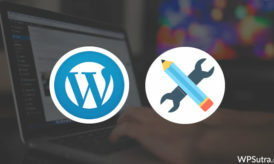 Self-hosted WordPress is the best tool available for blogging…You can easily customize your website with thousands of Free and Premium WordPress themes. You will get WordPress plugins for every functionality, and you don’t need to run behind a coder to get things done. From my opinion, WordPress saves me a lot of Time which I think much precious than any other thing. Lastly, WordPress is an OpenSource blogging platform whereas blogger is a proprietary that is managed by Google. WordPress is very popular and useful CMS. I prefer WordPress over Blogspot because WordPress has a Large list of Plugins which makes it easy to handle blog. WordPress is not SEO friendly, but we can make it more SEO friendly by applying some tips and methods, Blogspot doesn’t offer any useful plugin for any work. 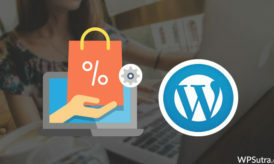 You should use WordPress if you want to start a blog for affiliate marketing, you manage affiliate links on Blogspot, and your blog may get hit by Google. You can use advanced plugins to optimize your blog and posts for search engines on WordPress. Plugins like SEO by Yoast, SEO Pressor are useful to optimize blogs and posts, and You can also optimize Images automatically in WordPress. These features are not offered by Blogspot. On blogger, you have to add widgets yourself, and you have to add some codes in the widget too, but on WordPress you just have Drag-Drop the Plugin and Do the ordinary settings. If you talk about the themes it is very easy to customize the themes in Blogspot; you just need the knowledge of CSS and HTML. You can’t customize themes in WordPress without the proper knowledge of PHP. But Frameworks like Genesis and Thesis offer these features. The last but not least reason is that you can manage your Data very easily on WordPress, and no can delete your data, but Blogspot doesn’t offer that much features to manage Data and Google can delete your Data if they find any reason. These are the few reasons for which I prefer WordPress over Blogger and have moved my blog from Blogger to WordPress. This is one of the major advantage of self-hosted WordPress blog. You have full control over your blog as compared to Blogger blog. As blogger is owned by Google, it may drop it anytime without any notice, and we have seen many cases like this which you can search on Google. Moreover, in case of Blogger if the blog gets hacked then there is no way to recover it but in case of WordPress you can use the backup from your server or host to restore your blog. WordPress allows you many options to optimize your blog easily for better SEO as compared to blogger. I feel that from SEO point of view WordPress is better than Blogger way ahead due to a vast number of plugins and features available in WordPress. The vast number of plugins and themes on WordPress make it very easy to use and customize.WordPress offers you a range of helpful plugins to choose from which is not possible in case of Blogger. Many premium plugins available on WordPress allow your blog and provides it with new and life whereas on Blogger you have to do and check everything manually. These are some of the answers that I have selected from the question, I asked on WPSutra Google+ page. You can write your answer, and the best answer will be featured here. Its not an easy task to select best blogging platform in between these two because in blogger service server maintenance,security is better than wordpress and website look and navigation is better than blogger.So both of them are two eyes for blogging. Currently I am blogging on blogger platform. Main reasons why I have choosed blogger is that it is secure, no bandwidth limitation & I don’t have to pay for hosting. But I am afraid, what to do if google deleted my data ?? That’s the only reason that I don’t like about choosing blogger for blogging.. I feel blogspot is surely the best bet to fall in love with for the first time as a blogging platform. As a newbie, you gotta be learning too many things with time, you gotta be on a learning spree rather than a spending spree, thus blogger is surely for first time users. Blogger is free unlike wordpress where you have to shed few dollars to enjoy the CMS fully. I never felt that blogspot platform is lacking somewhere in SEO field. The only part to criticise was third party template or quality new theme availability. But in 2016, we get triple the options for premium & paid blogger templates. For Indians, those who suffice with personal blogging, blogger is surely the best available option for entering the blogosphere, no matter whether you go to a custom domain or a blogspot url, blogger never charges a penny to experience the experience of blogging. And those who want extra, can pay some extras to move to wordpress if blogger becomes old for them. How about WP.com blogs to start off. Is that any good?